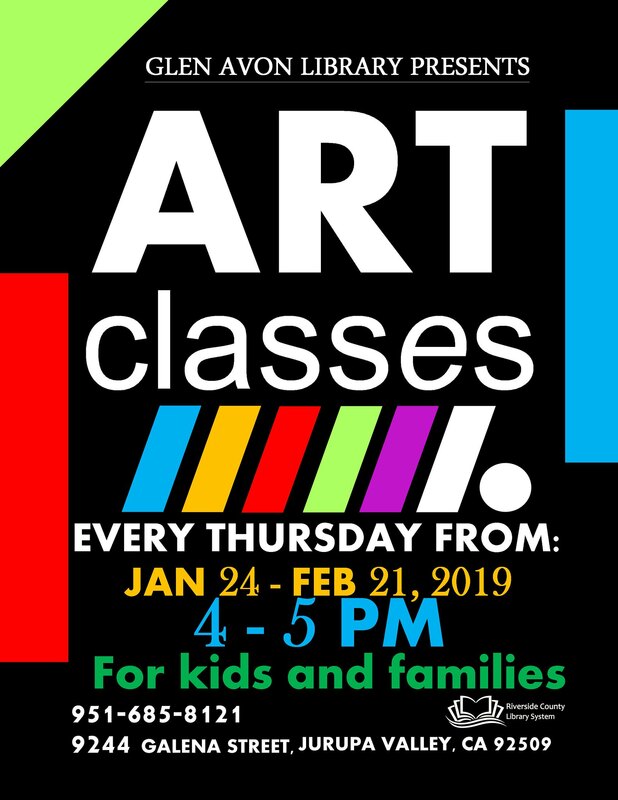 Art Classes open to children and families from 4-5 pm in the Glen Avon Library Community room. No registration needed. Walk-ins welcome.